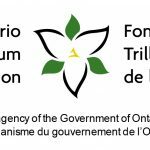 Due to the prorogation of provincial legislature last month, the private members bill that would implement the regulation of organic products within Ontario (The Organic Products Act, 2017) died on the order paper. Next week, MPP Peter Tabuns (NDP) and MPP Sylvia Jones (PC) will reintroduce the bill. The original bill had passed second reading and was awaiting review by parliamentary committee. Call or visit your MPP. Government won’t act unless we let them know this matters to us. Help us get media attention. Do you know a reporter? Call or tweet at your local media institutions and let them know you think this is an issue they should cover! Tell your friends and colleagues. There is strength in numbers! Please forward this email and promote the campaign on social media using the hashtag #actONorganic. Sharing and retweeting is good – but saying it in your own words (and tagging your friends and colleagues) is better!